Texas wine is the future! 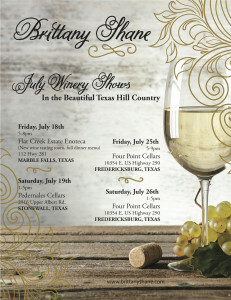 I’ll be playing at some amazing wineries in the next few weeks! 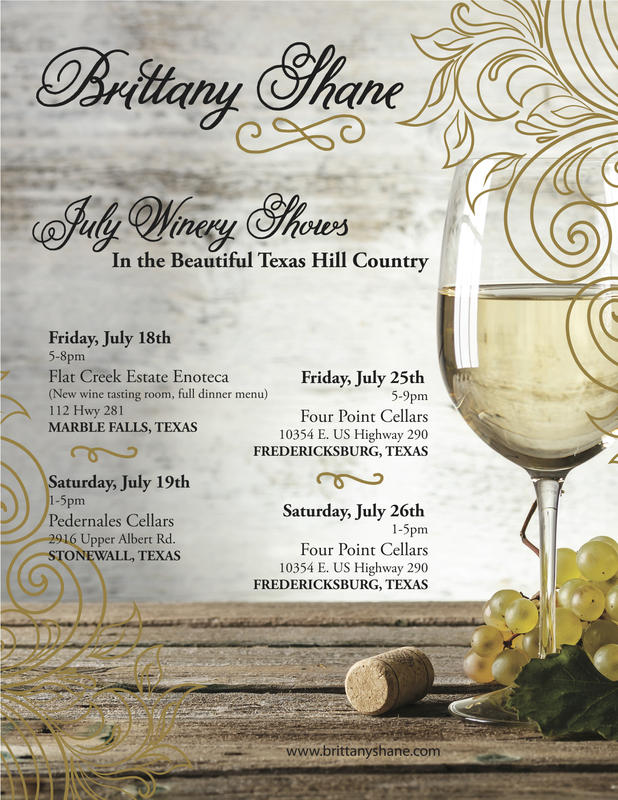 Flat Creek Enoteca this Friday in Marble Falls and Pedernales Winery in Fredericksburg this Saturday. See my “Shows” page or the poster below for more details. Flat Creek has amazing pizzas and food! I am so impressed with their new tasting room. Just amazing!! Can’t wait to play there this Friday. This entry was posted in news on July 15, 2014 by Brittany.